Hola Foodies! Are you too torn between Burger and fries and don’t know how to decide between the two? Well guess what? We found a place which is combining both and we are sure you’re gonna love it. So scroll down to know the yummy deets. So as you all know how much we love quirky food and are always on the lookout for it! On one such food hunts we stumbled upon this little cafe´ in Shalimar Bagh, called Moongphali which is whipping up some incredible scrummies. We tried their much recommended NYC Burger and boy are we in love! A blast of flavours,oozing out of cheese and yumminess . We loved it to its last bite! 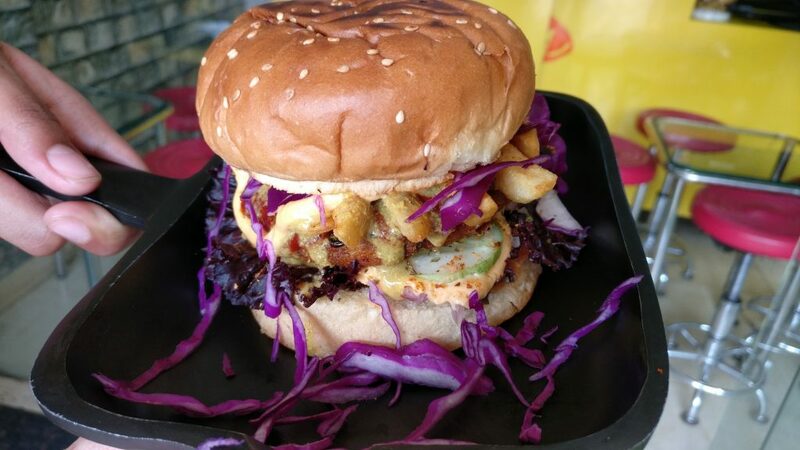 The twist is that instead of a regular patty,they are also topping it with classic crunchy fries along with olives and other veggies.This is one of the best burger-fries medley we have had in a while and we are defo going back for this one. 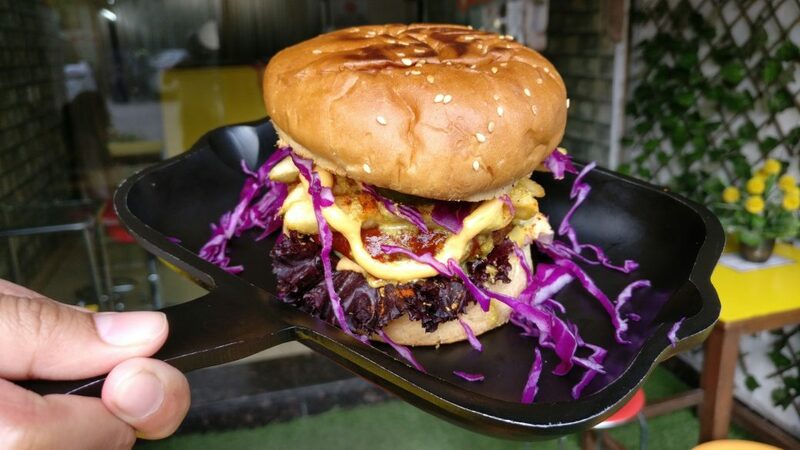 Apart from this they also have an interesting menu which includes Angeethi Paneer Pizza, Nutella Mugcake ,Stuffed Paneer Garlic bread and much more. So What are you ordering?